Located 50 miles off the coast of Nicaragua in the Caribbean Sea are a pair of islands that are still untouched by mass tourism, high-end resorts, and busy cruise-ship ports. Known as the Las Islas del Maíz, (The Corn Islands), the pair consists of the 2.3-square-mile Big Corn Island and the quieter 1.5-square-mile Little Corn Island. Each island’s major characteristics are more associated with Caribbean islands like Jamaica or the Bahamas and you will find turquoise-blue waters, sugar-white sands, swaying palm trees, and even strains of reggae music wafting through the air. 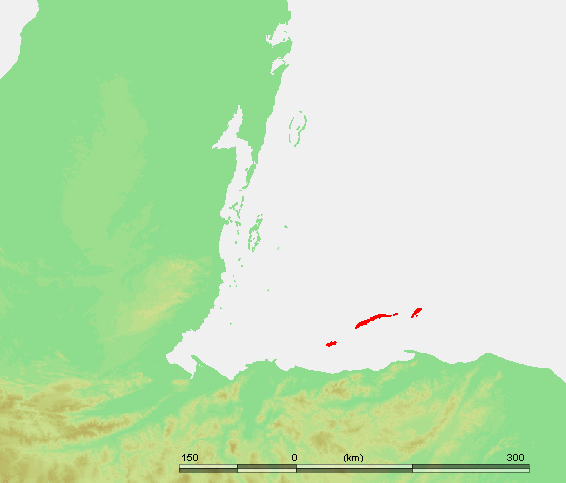 The history of the Corn Islands sounds like something from of a pirate’s tale. Due to their isolated location, they were once a frequent stopping point for both British and French pirates and buccaneers in search of their next conquest, whether it is a merchant ship loaded with supplies or gold. In fact, several known shipwrecks are still scattered throughout the region, which have become popular diving areas. 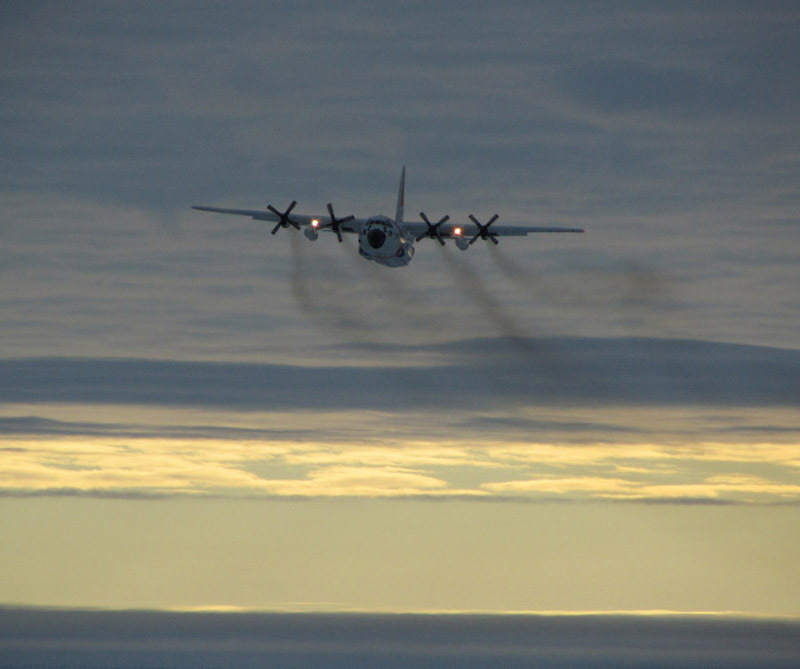 Unfortunately, some areas still serve as a haven for drug traffickers and it is not unusual to see the United States Coast Guard flying over the area. 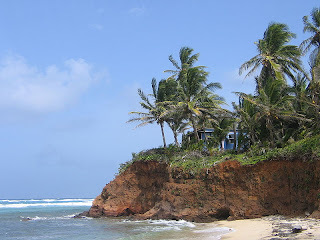 Little Corn Island is special in its own way. It has the same characteristics as it larger counterpart, but as hard as it is to believe, it is much quieter. In fact, before my first visit, a friend kindly told me "Bring mosquito repellent and an extra roll of toilet paper, and expect the electricity to be off each morning." But despite the rustic qualities, you will be guaranteed peace and quiet. There are no cars, and traffic consists mostly of bicycles and dogs. 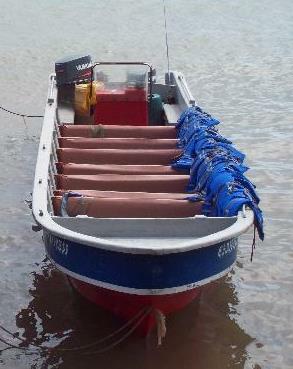 Transportation to Little Corn Island is by smaller boats known as pangas and the one-way fare is C$120. The boats depart daily at 10 a.m. and 4:30 p.m. from the northern end of Brig Bay on Big Corn Island and arrive at Pelican Beach on the western side of Little Corn Island. The 18-mile journey takes approximately 30 minutes. As I always say, double check schedules because they can change at any moment or be cancelled due to weather. One piece of advice is that if you are prone to seasickness, make sure to check ahead and ask about the water conditions. The boats are small and they feel every wave. Since the trip can take about an hour, it can leave you feeling either exhilarated or horrible. Lighthouse Hill – Also known as the Mirador, the highest point of the island at 125 feet includes a lookout point that offers a 360-degree view of the surroundings. It is approximately a 30-minute walk from the waterfront. Since the island has about 10-square-miles of reefs to explore, it has become a haven for snorkelers and divers. 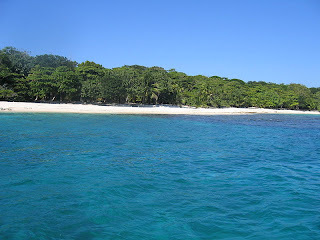 Some of the best snorkeling is off the northern end, which happens to be the more remote area of the island. The two recommended diving companies are: Dive Little Corn on Pelican Beach (www.divelittlecorn.com) that includes PADI-certification courses with day and night dives, and Dolphin Dive (www.dolphindivelittlecorn.com), which is conveniently based at the Hotel Delfines (north of Jokeman Bank). The hotel (www.hotellosdelfines.com.ni) also includes Caribbean-style bungalows that are some of the better accommodations on the island. In addition to the Hotel Delfines, there are two others that are worth mentioning: Derek’s Place and the Casa Iguana. Derek’s Place (www.dereksplacelittecorn.com) is a great place to stay when looking for a romantic accommodation. The wood and bamboo bungalows (only four) are built on stilts, which overlook the northern point of the island with spectacular views. 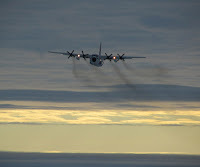 It also receives its electricity from solar energy to avoid the morning blackouts. 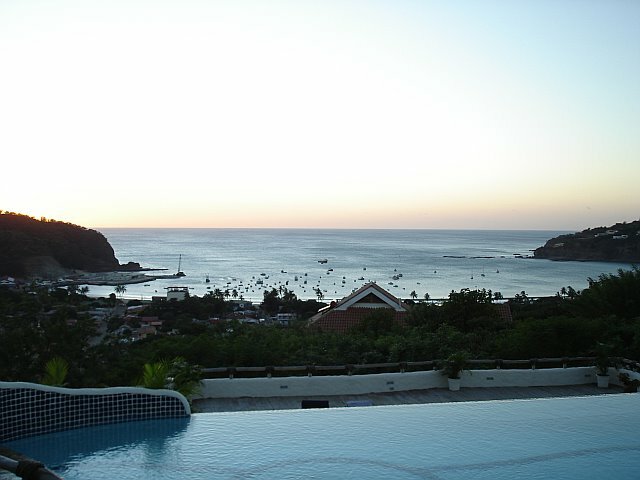 The Casa Iguana (www.casaiguana.net) is located just south of Iguana Beach on the southeastern portion of the island. The 14 bungalows are situated on a cliff overlooking a deserted beach and it is also run by solar and wind power. It is one of the best accommodations on the island, so make sure to reserve your bungalow early especially during peak season. Finally, no visit to either of the Corn Islands is complete without a good seafood meal. My recommendations are: Miss Bridgette’s at the dock on Pelican Beach, or either Carlito’s, Grace’s or Elsa’s on Cocal Beach on the eastern side of the island. Miss Bridgette’s is known by locals as having some of the best seafood at the best prices and you can tell because it always seems to be busy. The others on Cocal Beach also have affordable meals with a great menu. But wherever you end up, remember one thing: the service is some of the slowest in the country, which gives you time to chat, enjoy that cold beer and remember why you chose to come there in the first place. Located 35 miles north of Honduras in the Caribbean Sea is one of the country’s top tourist destinations: the Bay Islands. Also known as the Islas de la Bahía, the string of three islands consists of Roatán, Utila, and Guanaja, which all include clear-blue waters, abundant marine life, and some of the best water conditions in the region. The combination of these characteristics have transformed this former remote location into a major international travel destination known for its water activities that range from diving in the Caribbean Sea’s largest barrier reef to swimming and snorkeling just feet away from white-sand and untouched beaches. Much like many of the Caribbean islands, the Bay Islands were also originally inhabited by indigenous tribes until the Europeans arrived. In this case, Christopher Columbus claimed the islands in the name of Spain during his fourth voyage to the area in 1502. For the next two centuries, the British and the Spanish battled for control of the area and used the islands for safe harbor, supplies and slave trading, which eventually caused a substantial drop in the indigenous population due to their forced involvement. By the mid-19th century, both the Garífuna people (who left the island of St. Vincent after a rebellion with the British) and the former slaves arrived on the islands in an attempt to begin a new life. Today, this combination of cultures combined with the overall relaxed atmosphere is what makes the Bay Islands special. When visiting, you will find many Americans and Europeans who had originally planned to stay for only a week or two but ended up staying there permanently. The island of Utila is the smallest of the three major Bay islands and it can be walked lengthwise in less than 30 minutes. It is also one of the best places to dive, snorkel or swim due to its calm waters, which remain generally calm throughout the entire year. 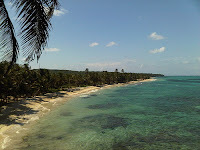 It is far less crowded than its larger neighbor of Roatán, and most people come to the island to just relax. Most visitors generally travel to Utila by air or by boat. Within Honduras, there are four daily flights to Utila from the city of La Ceiba on the northern coast of Honduras. The flight time is a short 20 minutes and it arrives at the small airport located approximately two miles north of Utila Town. There are flights from Tegucigalpa and San Pedro Sula but they make a layover in La Ceiba. 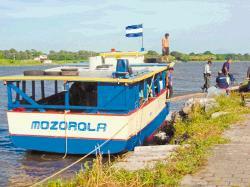 Ferry travel from La Ceiba to Utila Town is a reasonable one-hour journey on the 118-foot Utila Princess. The ferry departs twice a day at 9:30 a.m. and 4 p.m. and costs approximately US$16 each way. As always, double check the schedule because it can change or be cancelled at any moment. 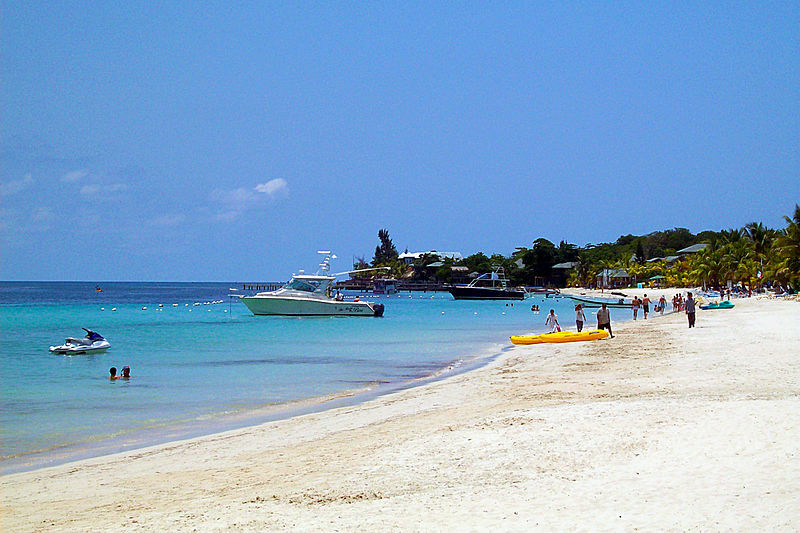 The island’s primary town is Utila Town, also known as East Harbour. It includes the largest population on the island, which is only rivaled by the number of dive schools and eager divers who come in search of the island’s best sites. The only activities on the island are water related with most of the focus on diving, snorkeling, and swimming. Before heading out to the water, make sure to stop by Munchies (pictured to the left). This historic restaurant is a one-minute walk from the dock and it offers freshly made breakfast and lunch specials. When asked, many visitors say that they make the best breakfast on the island. Diving – Even though each diving school has their favorite dive spots, the most recommended locations are generally Blackish Point and Duppy Waters off the northern coast and Black Coral Wall and Pretty Bush, which are both off the southern coast. Most dive courses charge approximately US$250 for five-day PADI courses but recreational dives go for as little as US$25. The best part (other than SCUBA certification) is that most of the schools provide free accommodation during the course. There are at least a dozen different dive schools but I recommend the following: Utila Dive Centre (www.utiladivecentre.com), Cross Creek (www.crosscreekutila.com), and Alton’s (www.altonsdiveshop.com). 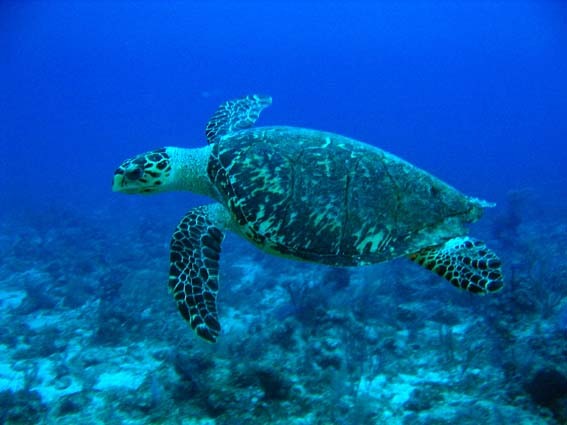 Snorkeling and Swimming– The most recommended spot for swimming and snorkeling is at the Blue Bayou, which is roughly a 20-minute walk west of Utila Town. The water is clear and you can enjoy the relatively quiet beach without any distractions. Snorkeling gear is conveniently available for rent for about US$2 per hour. 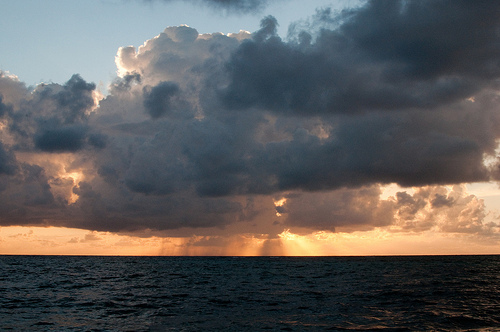 For more water activities away from the town, there are the 11 outcrops located off the southwestern coast of Utila. Known as the Utila Cayes, it includes several inhabited settlements (Suc Suc Caye, and Pigeon Caye) that offer an even slower pace than Utila Town, which is difficult to imagine. Small boats from the dock at Utila Town are always ready and willing to take you there. Finally, after a day in and on the water, make sure to visit the Jade Seahorse Bar and Restaurant. 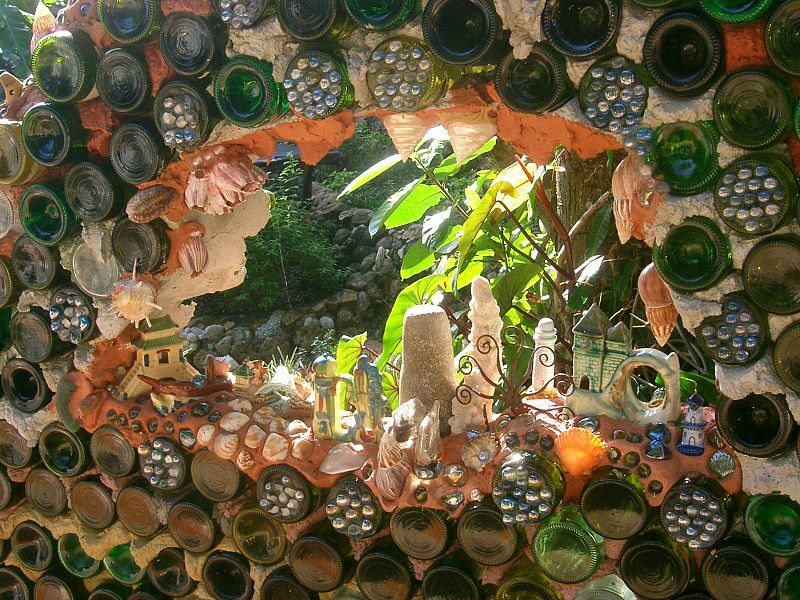 Located on the Cola de Mico Road, it is owned by an American artist who has added a colorful atmosphere and style along with the good food and drinks. 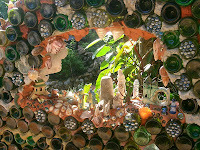 Note the colorful display created from beer bottles in the photo to the left. 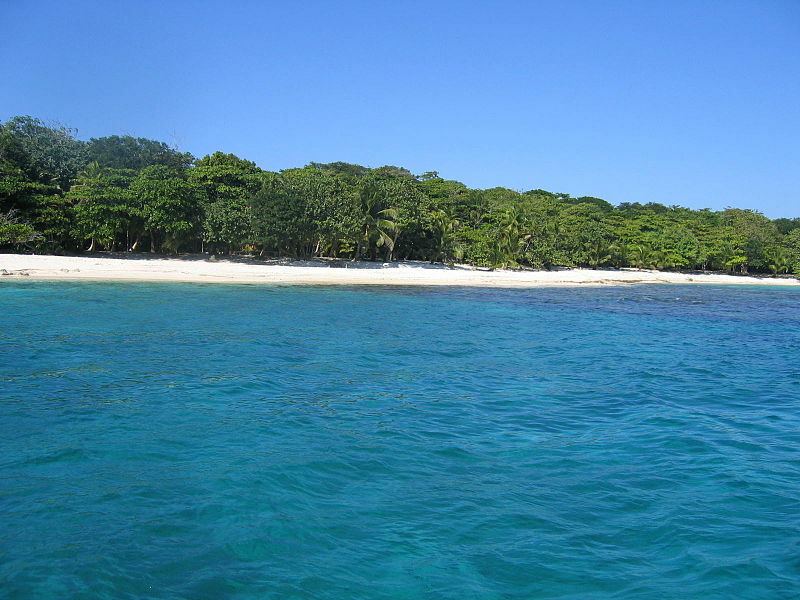 Located approximately 35 miles off the northern coast of Honduras is one of the country’s top tourist destinations: the Bay Islands. Also known as the Islas de la Bahía, the string of three islands consists of Roatán, Utila, and Guanaja, which all include turquoise-blue waters and abundant marine life. The combination of these two characteristics have transformed this former remote location into an international travel destination known for its water activities that range from diving in the largest barrier reef in the Caribbean Sea to swimming and snorkeling just feet away from white-sand and untouched beaches. Much like the majority of other Caribbean islands, the Bay Islands were originally inhabited by several indigenous tribes until Europeans arrived. In this case, Christopher Columbus claimed the islands in the name of Spain on his fourth voyage to the region in 1502. For the next two centuries, the British and the Spanish battled for control of the area and primarily used the islands for safe harbor, food and supplies as well as slave trading, which caused a considerable drop in the indigenous population due to their forced involvement. 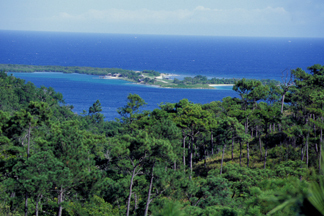 By the 19th century, both the Garífuna people and the former slaves arrived on the islands to begin a new life there. Today, this combination of cultures with the overall relaxed atmosphere is what makes the Bay Islands special. When visiting, you will find many Americans and Europeans who had originally planned to stay for only a week or two but eventually chose to stay there permanently. 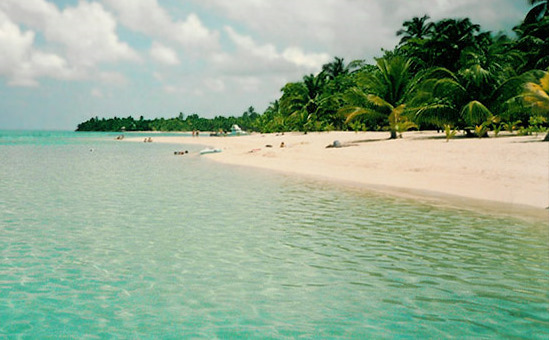 The majority of visitors generally travel to Roatán by cruise ship or by air. From North America, TACA airlines provide direct flights from Miami and Houston, Delta airlines from Atlanta and Continental from Houston to the Roatán International Airport. The airport is approximately two miles east of Coxen Hole on the southern side of the island. Within Honduras, Isleña Airlines offers daily flights from Tegucigalpa, San Pedro Sula, as well as La Ceiba. Roatán, the largest of the Bay Islands, is approximately 30 miles in length and only three miles wide at its widest point. But there are plenty of locations to explore. Keep in mind that tourism can drive up the prices considerably, especially near the cruise-ship ports and luxury resorts. But there are still a number of great locations to explore and smaller towns that still provide a feeling of how things used to be before mass tourism became part of the island’s image. West End - Located on the western edge of the island nine miles from Coxen Hole is one of the most popular towns for visitors due to its calm and clear-blue waters and Half Moon Bay, which includes white-sand beaches and a variety of hotels and restaurants that are just steps away from the Caribbean Sea. 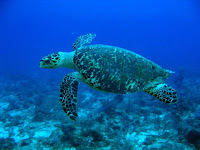 This is also the home of the island’s best dive centers , which offer trips to the offshore reefs. For kayakers, the "Sea Breeze Inn" offers decent rates of around US$12 for half-day rentals. With its primary view toward the west, the bay is the one of the best locations to view the spectacular sunsets. 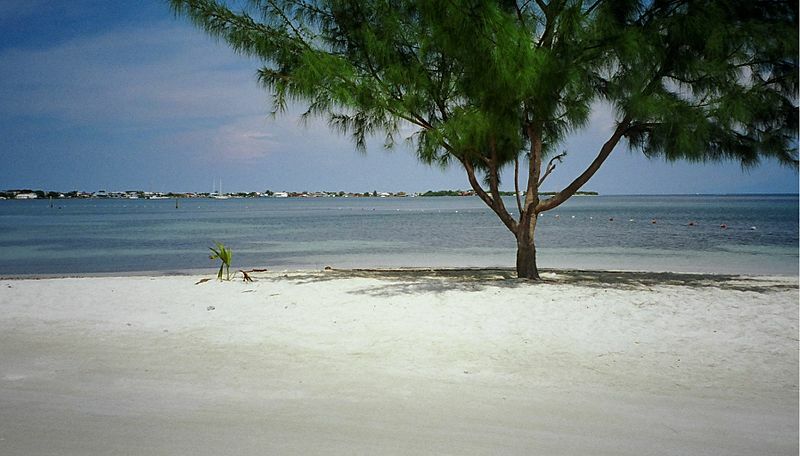 West Bay - About 1.5 miles southwest of West End is another amazing stretch of white-sand beach. You can actually walk there in just under an hour and it is a retreat for those who find the West End still too busy for their taste. But this is slowly changing since there are hotels being built at a rapid pace. So make sure to enjoy it while it lasts! Sandy Bay - Located approximately four miles from Coxen Hole on the northwestern tip of the island, the relaxed town also includes miles of clear-blue waters and white-sand beaches. 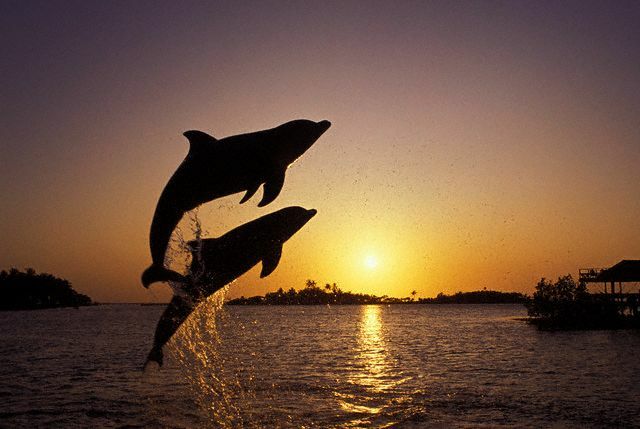 Aside from the beach, one of the best reasons to come to Sandy Bay is to visit the Roatán Institute for Marine Sciences that researches dolphins and other marine life. It also offers affordable daily dolphin shows and for a additional fee of approximately US$100, you can even swim with the dolphins. It is located at Anthony's Key Resort, which is a 56-room luxury resort situated on a private key. 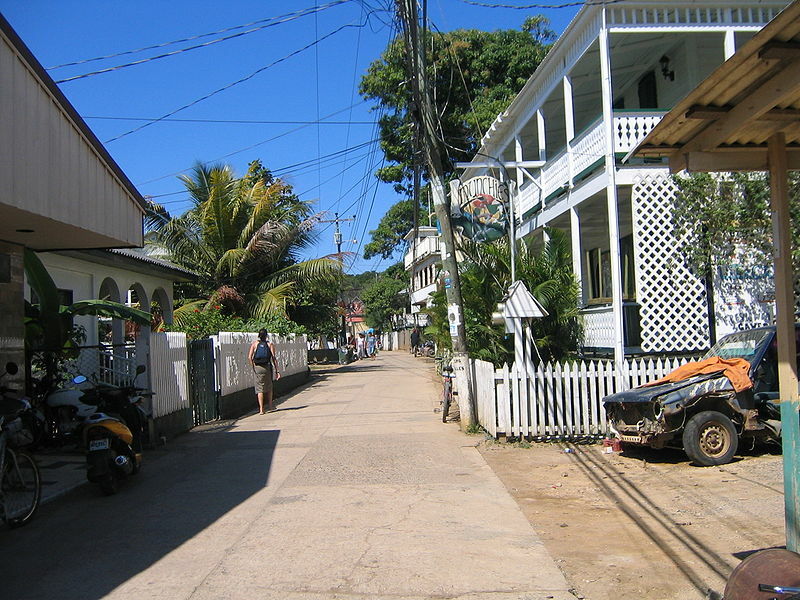 French Harbour - If you head east of Coxen Hole about seven miles, you will run into French Harbour, the second largest town on the island. It is an active business center that is home to one of the largest grocery stores on the island (Eldon’s) as well as a number of banks, real estate offices, and one of the largest fishing fleets in the Caribbean. For visitors interested in iguanas, there are approximately 3,000 of them at the Iguana Reserve. 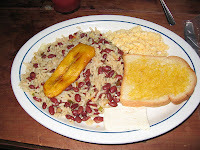 You will also find chain restaurants from the United States such as Wendy's and Applebee's, just in case you get tired of the delicious Caribbean food. Punta Gorda - Located north of Oak Ridge on the northern coast of the island, this town is definitely worth exploring because of its Garífuna settlement that dates back to their arrival in the late 18th century. The residents still speak the Garífuna language and focus on the natural preservation of its culture, delicious food and music. 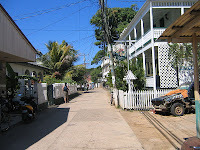 Since most of the tourist activity is centered on the island’s western portion, this area can be fairly quiet and nice. Port Royal - This village is located in the Port Royal Park and Wildlife Reserve, which is the largest wildlife refuge on the island. It was established in 1978 to protect the endangered species on the island such as the yellow-naped parrot. Unlike the western tip, this eastern area consists of mangrove swamps for variety of scenery, just in case you get tired of the white-sand beaches. The Isla de Ometepe, also known as Ometepe, is an hourglass-shaped island located in the western corner of massive Lake Nicaragua. 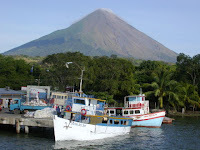 The island includes not one but two volcanoes: the active 5,577-foot Volcán Concepción and the lush and dormant 4,573-foot Volcán Maderas. Due to the beautiful landscape and relaxed atmosphere on the island, it has become a popular tourist destination in the country. Unless you have a helicopter, the only way to travel to Isla de Ometepe is by boat. There are two departures from the western mainland to the port town of Moyogalpa: the ferries and smaller boats from the port in San Jorge (just outside of Rivas), and the less frequent ferry from Granada. Since the waters on the lake can become very choppy during the mid-day hours, it is best to leave early in the morning or late in the evening to avoid any seasickness. The one-way journey takes approximately one hour. For those who have some more time and better sea legs, there are ferries that leave from the city of Granada two times a week. WARNING: The journey can take up to four hours! 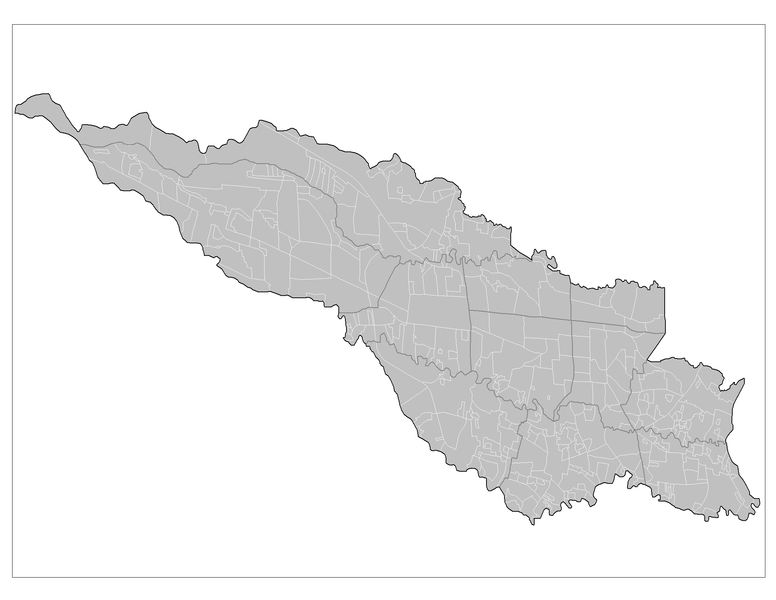 But it arrives at Altagracia on the eastern side of the island instead of Moyogalpa. The fares range between C$25 per person to $C50 depending on if you prefer lower- or upper-deck passage. The best known ferry is the Mozorola, which was recently refurbished as of May 2011. Ferry Departures – Departs on Mondays and Thursdays at 2 p.m. This time can vary greatly, so make sure to double check the schedule. 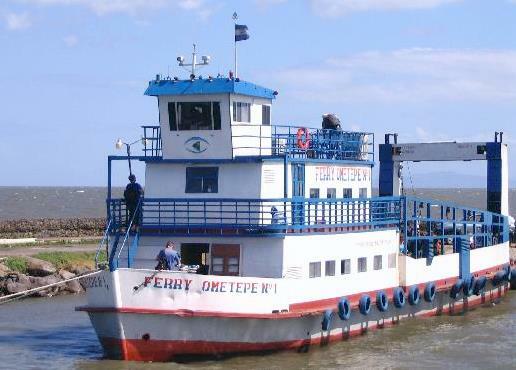 Ferry Returns – Departs on Wednesdays and Saturdays at 12:30 a.m.
For more about Isla de Ometepe, check out my post: Exploring Isla de Ometepe in Nicaragua. 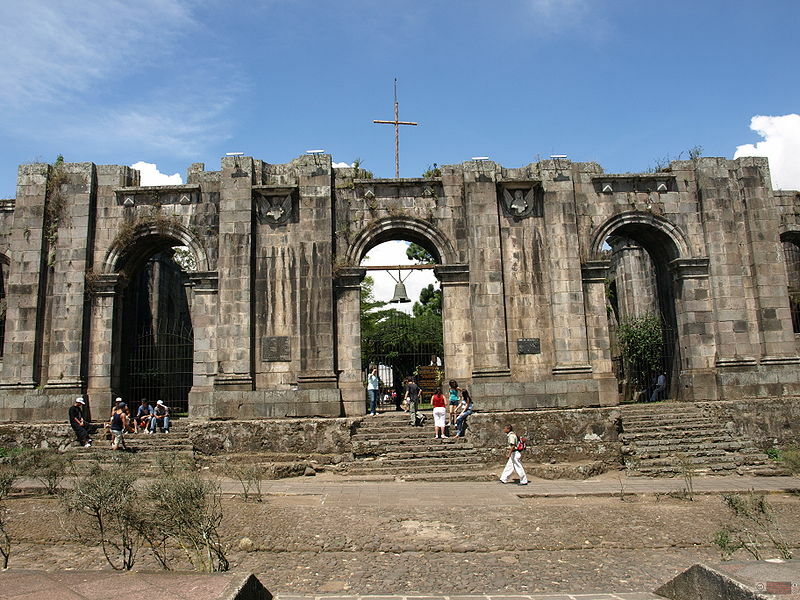 For those who are interested in one location that is historical and scenic as well as religious, the city of Cartago includes it all. Conveniently located approximately 15 miles southeast of the capital city of San José, it has the distinction of being Costa Rica’s first Spanish settlement that dates back to 1563. The population rapidly expanded due to the fertile, volcanic soil in the valley and the proximity to the scenic mountains. 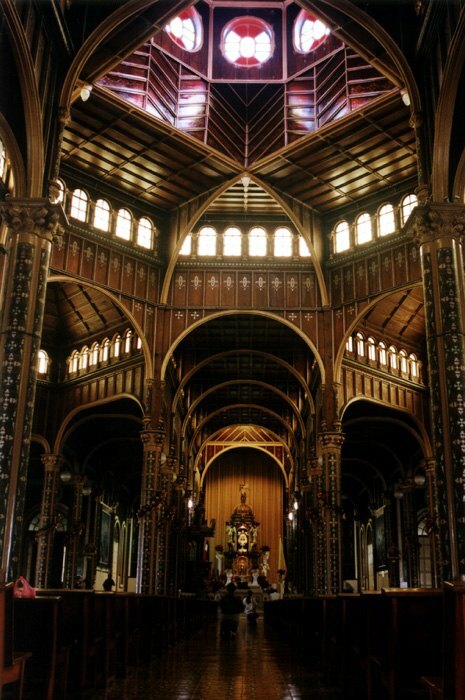 This ideal location was established as Costa Rica’s capital and the Spanish constructed some of the most spectacular colonial structures in the country as proof of their power. This city has had a very dramatic past. First of all, it was nearly destroyed by a massive eruption of the Irazú Volcano in 1723 and it was repeatedly damaged by earthquakes with the latest one in 1910. According to news reports, the 6.4-magnitude earthquake lasted 16 seconds and it killed at least 800 people with estimates that reached as high as 1,000 in the surrounding region. Today, there are very few structures that remain intact but fortunately the primary ruins have been preserved in a beautifully landscaped park situated in the center of the city. The ruins are a testament to the vulnerability of this location and the well-known basilica is an incredible example of prosperity and religious devotion. Although there are a number of reputable tour companies based in San José that can take visitors through the area, Cartago can be easily reached by bus, car and even train. 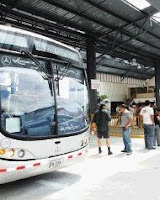 The Lumaca bus company provides buses that depart from the Plaza de la Cultura in San José approximately every 10 minutes between 5 a.m. and 10 p.m. Buses also depart from the corner of Calle Central and Avenida 3 in San José. Buses back to San José are conveniently located just north of the Parque Central in between Avenidas 4 and 6, and Calles 2 and 4 in Cartago. Depending on traffic, the journey can take up to 45 minutes. For those who choose to drive, the trip is fairly easy. Take Highway 2 east out of San José and follow it until Highway 10, which leads directly into Cartago. There is also a train system that frequently runs from Tren El Atlántico on the eastern side of San José directly into the Estación del Tren (train station) just north of the center of Cartago. They are not as fast as the direct buses, but they are certainly more comfortable. 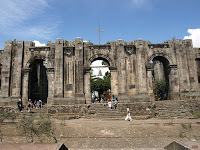 Ruinas de la Parroquia de Santiago Apóstol: Also known as Las Ruinas, are located at the Parque Central. They stand as reminders of nature's power of destruction in the area. 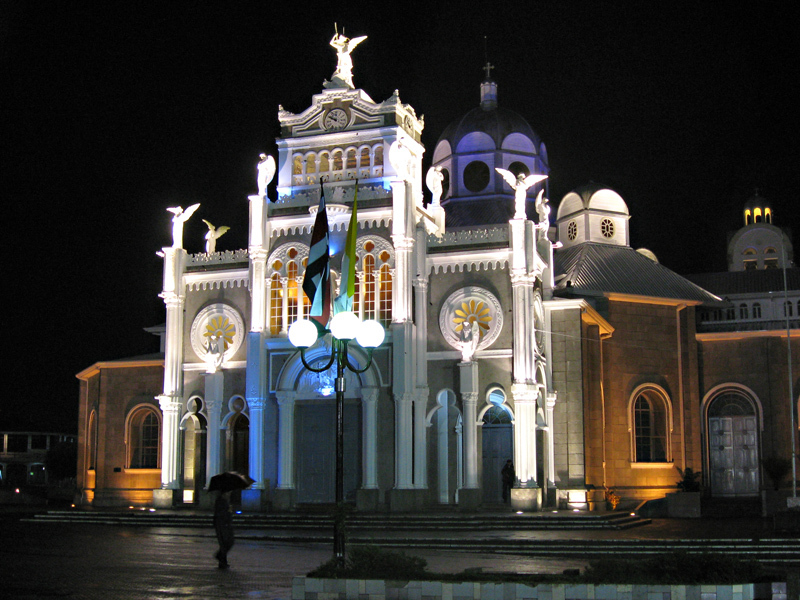 According to Costa Rica’s Tourism Office, the construction of the original church began in 1575. From a period that lasted until 1910, this church suffered major damage from five major earthquakes only to be rebuilt by its persistent (or stubborn) residents. But after the last one devastated the city in 1910, a decision was made to abandon the reconstruction of the church. Its stone remains now serve as the eerily beautiful centerpiece of a landscaped park that includes plenty of quiet sitting areas and walking paths. If you get hungry after taking the five-minute walk from the ruins to the basilica, I recommend grabbing a bite to eat at La Puerta Del Sol on Avenida 4 between Calles 14 and 16. Located downstairs from the Los Ángeles Lodge, this small restaurant has been around since the 1950s and it offers a wide variety of Tico specials in addition to delicious burgers. The menu ranges from breakfast staples such as gallo pitno con huevo to slow-cooked lengua, which is known to us as beef tongue. Although the structure fared much better than other sites against the earthquakes, it was also damaged in 1926. But it was rebuilt in a highly decorative Byzantine style that is peculiar to some visitors and breathtaking to others. 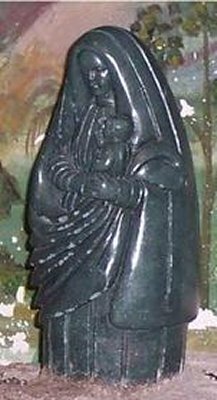 Inside its ornate interior is a shrine containing the small, carved, dark-stone statue of the Virgin, which is also known as La Negrita (the Black Virgin). It is surrounded by hundreds of silver trinkets left as thanks for her mysterious healing powers that have miraculously healed many visitors with a variety of ailments. Each August, millions of devoted Catholics make the long pilgrimage to the basilica to honor La Negrita, who is also the country’s patron saint. Many even choose to crawl on their hands and knees in extreme devotion. 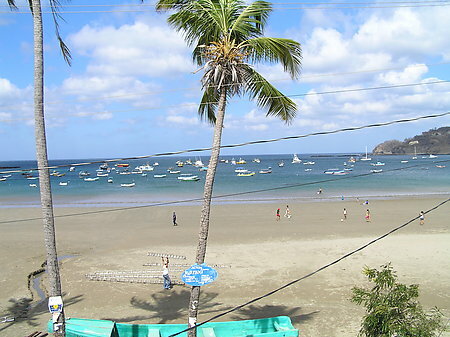 Tucked away in a half-moon bay on the Pacific Coast of Nicaragua is the sleepy fishing village of San Juan del Sur. Located approximately 90 miles south of Managua, this town has become one of the top tourist destinations in the country. Unlike many other popular locations that have become dominated by tourism, this town has successfully managed to hold on to its relaxed atmosphere. Much like long ago, the tranquil bay still includes fishing boats that gently rock against the incoming tide and the narrow streets are lined with rows of colorful houses that double as small stores. But the best aspect about this town is the long beach that seems to beckon every visitor the moment that they arrive. The town itself has an interesting history where it once served as a major transit point for prospectors with a thirst for fortune during the 19th-century California Gold Rush. It is unbelievable to imagine that these travelers from the United States once avoided cross-country travel by sailing down the Caribbean coast of Nicaragua, up the treacherous Río San Juan, across Lake Nicaragua, and over land to San Juan del Sur where they boarded ships headed to California. But compared to the long trek across the southern desert in the U.S., it was the better of the two evils. The town still serves as a shipping port but tourism has now taken over as its primary source of income. Fortunately for travelers today, things are completely different. After arriving at the Managua International Airport, there are many transportation options ranging from direct, air-conditioned shuttles to the "chicken buses." My suggestion is to either rent a car or book a direct shuttle. The choice depends on whether you want to explore everything on foot or by car after you arrive. Rental Cars – The Managua International Airport includes the majority of the rental companies that we have come to know and trust: Budget, Hertz, Dollar, Alamo and Avis, in addition to several smaller companies such as Targa. Rental cars can be reserved online and the rates are incredibly reasonable. The only downside is that most of the companies require a deductible that places a "hold" on your credit card. Depending on the company, the hold can be up to US$1,000, so plan accordingly if you are counting on using the same credit card during your stay. In regard to what type of vehicle to reserve, I definitely recommend renting a SUV or 4x4 because the roads can become very bumpy at times. As far as the drive, find your way to the CA-1 (the Pan-American Highway), which is the Carretera a Masaya in Managua. Head south on the CA-1 past the city of Rivas and make a right turn in the town of La Virgen. From there, it is a 10-mile drive straight toward the coast. For those who just want to just spend their entire time in San Juan del Sur, I recommend taking the Adelante Express (www.adelanteexpress.com). 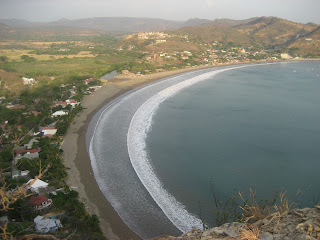 For US$45, it offers direct travel from the Managua Airport to San Juan del Sur with door-to-door service in air-conditioned vans. It couldn’t be more convenient for traveling to such an out-of-the-way destination. 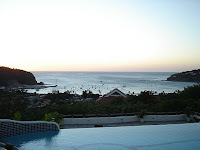 After arriving in San Juan del Sur, you will quickly realize that all that is required is to just exhale and relax. Yes, there are things to do other than enjoying the beach, but the town’s primary focus is the beach and its spectacular view of the Pacific Ocean. The beach can be somewhat addicting. Some expatriates who now live there have been surprised by the town’s initial attraction that made them stay long ago. All plans, whether relaxed or active, should begin with a barefoot stroll along the expansive beach. The town is relatively safe and I have found that strolling on the beach can be done at any time during the day. Of course, use common sense when strolling around at night. Make sure to stop by any of the open-air restaurants that are scattered along this stretch of sand, which all provide front-row seats to the spectacular sunsets. One of my favorite places is the Blue Marlin Restaurant. Located right on the beach across from the Hotel Casa Blanca, it is a Mexican restaurant that offers large portions at great prices. The shrimp quesadillas in particular are delicious and packed with shrimp. 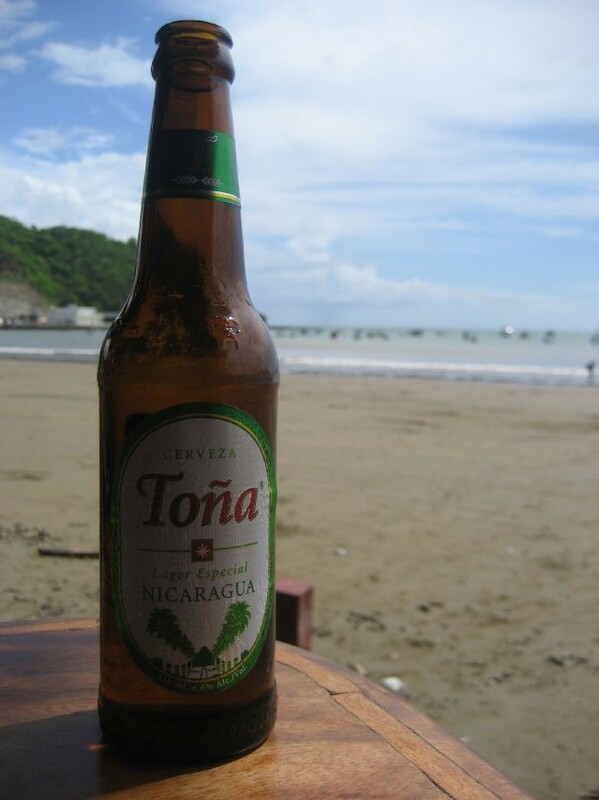 Add an ice-cold Toña (my favorite Nicaraguan beer) and a good sunset, and there is nothing better. Another great place to enjoy excellent food and cold drinks with spectacular views is the Pelican Eyes Resort. Also known as the Piedras y Las Olas Resort, it is one of the most luxurious resorts in the region. It is located on the hills overlooking the town and it is easy to find since everyone seems to know where it is when asked. The villas and guest rooms can be rented for a night or a week and they include every amenity you could ever imagine. For those who just want to enjoy the view, there is a great happy hour on Wednesdays and Fridays from 5 to 8 p.m. and for an extra US$5, you can even swim in the two Infinity pools. Canopy Tour – Located in the hills about five minutes from the town is Da’ Flying Frog (www.daflyingfrog.com), which offers a zip-line tour through a network of 17 cables. The longest cable is approximately 1,150 feet in length. After some quick safety instruction by their trained staff, the ride offers amazing views down the hill. It is open from Monday through Saturday and it costs a reasonable US$30 per person. Horseback Riding – For those who have ever imagined riding a horse down an open stretch of beach, Rancho Chilamate Horseback Tours (www.ranchochilamate.com) makes it a reality. It provides beautiful horses and half- or full-day guided tours for up to six people. Led by Jamie Lake and Blue Van Doorninck, they customize the tours for a very personal and memorable experience. Mercado Central – Located in the center of town, this open market is a great experience. Much like other markets in the country, it opens early in the morning and closes somewhere around 5 p.m. You will find stall after stall with the best fruit and vegetables in the area as well as prepared food. My favorite is Asados Juanita, who is also known as the "chicken lady" by the locals. For approximately US$3, you will get a large portion of delicious barbecued chicken. Best of all, the locals also enjoy it, which is always a good thing. 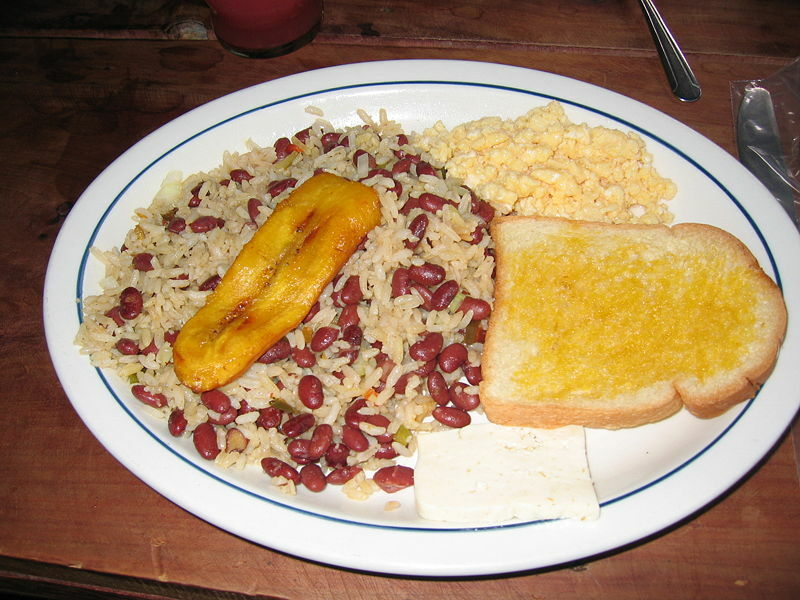 If you come to the market for breakfast, you will find everything from eggs to delicious gallo pinto (rice and beans). The market also sells clothes and everyday household items in addition to souvenirs. Spanish Language Schools – For travel in any country with a foreign language, learning the basics of the language can enhance one's overall experience. Best of all, you can immediately practice what you have learned just minutes after the class ends. Classes are offered both privately and in groups (depending on your need and budget) and they even provide a chance to stay with a local family in San Juan del Sur. My two recommendations are: The Nica-Spanish Language School (www.nicaspanish.com) that is located next to Baloy’s Surf Shop or La Casa Escuela Rosa Silva (www.spanishsilva.com), which is located just west of the Mercado Central. 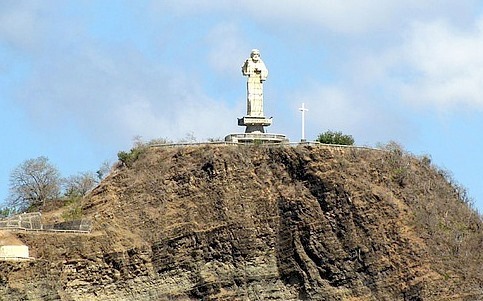 Statue of Christ: Finally, this relatively new attraction is located on a hilltop overlooking the town. This 130-foot statue is the second largest in the world, behind the well-known Christ the Redeemer statue in Rio de Janeiro, Brazil. 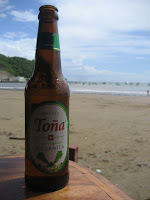 Taxis can take you there, but if you are driving, then head back as if you were leaving San Juan del Sur. Take the road on the left just past the Pali grocery store. Near the top of the hill, you will enter the upscale Pacific Marlin community, which is gated community lined with million-dollar homes. Let the security guard know that you want to see the statue. From the small parking lot, you will have no choice but to take the very steep walk up to the site. The admission is a reasonable US$1. From the viewpoint, you will see the entire half-moon bay, the town, the surrounding hills, and miles down the coastline. An amazing end for any visit to this memorable town. 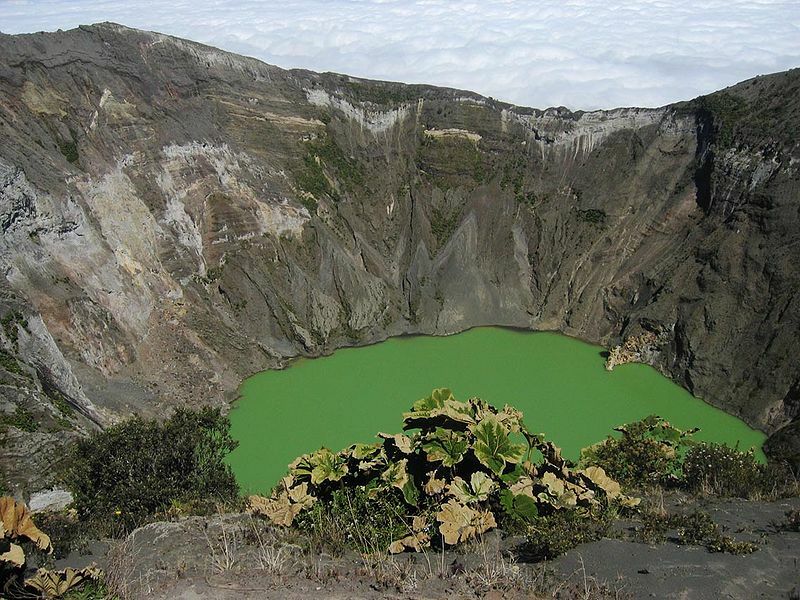 Many visitors to the country of Costa Rica seem to skip the busy city of San José entirely or use it primarily as a launching point to explore the rest of the country. There are some really gorgeous locations away from the city but for those who quickly leave, they are missing opportunities to visit a city that includes friendly people, peaceful parks, exciting markets, brick-lined streets, and the country’s best museums. Besides, it only takes an extra day or two, so there is no substantial loss of time before hitting the beaches or that beach resort. San José is the largest city in the country and it naturally serves as the capital city as well as the hub for all commercial and governmental activity. This constant activity has attracted approximately one-third of the country’s population who come in search of employment. This densely-packed city is situated in the Central Valley near the Cordillera Central (Central Mountain Range) and it includes one of the largest airports in Central America: the Juan Santamaría International Airport, which is approximately nine miles northwest of downtown in Alajuela. After you arrive and clear customs, there are several ways into downtown San José: by bus, shuttle or taxi. Bus or Shuttle: There is a bus stop conveniently located outside of the airport on the other side of the parking garage. For less than US$1, you can be downtown within 30 minutes (depending on traffic). My suggestion is to take the Easy Ride Shuttle Service (www.easyridecr.com) and for US$29 (for up to the two people), it provides door-to-door service 24-hours-a-day directly from the airport to your hotel. The mini-buses are clean and comfortable. Taxis: Taxis are lined up at the airport just waiting for their next fare and the ride costs around US$30. Always make sure to take only the licensed taxis. They are easily noticeable by their reddish-orange colors and their Costa Rican logo. Also plan ahead and tell the driver that your destination is a well-known hotel or landmark because an exact street address is not normally used. If your hotel is smaller or not as well known, just find the nearest large hotel or landmark near it and go from there. Downtown – This is the busy center of the city that includes the Teatro Nacional, the Catedral Metropolitana and some of the best hotels. It also includes the Plaza de la Cultura, which many Ticos refer to as the heart of the city. The tourist information center is also located there where you will find many tour companies ready to take you away for a wide array of tours ranging from zip lines to volcano hikes. In addition, there are several artisan markets located downtown with the primary one known as the Mercado Central. Located near Avenida Central and Calles 6 and 8, it is worth a stop since you will find everything from leather and ceramic crafts to every possible souvenir you can think of. Paseo Colón – Located west of the downtown area, it consists of many restaurants and a variety of smaller hotels. There is also a nice shopping and eating area (blocked off to vehicle traffic) between Calle 2 and Calle 5. 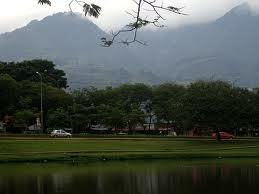 Parque La Sabana – Like New York’s Central Park, this is San José’s version. It is located west of Paseo Colón and there is plenty of space. In fact, it was once the location of the city’s international airport before it moved to the much larger one near Alajuela. It is a great space for biking and jogging or just sitting on the grass next to the lake and listening to the city’s noise swirl around you. It also the home of the National Stadium, and The Costa Rica Art Museum, also known as the Museo de Arte Costarricense. Barrios Amón – Located northeast of Avenida 5 and Calle 1, it is one of the few remaining colonial districts in the city. The Spanish colonial structures include many that date back to the 1800s. It can be a convenient and relatively peaceful stay if you book one of the beautiful boutique hotels there, which are all walking distance to a number of restaurants. These characteristics make the neighborhood popular with both travelers and expatriates. 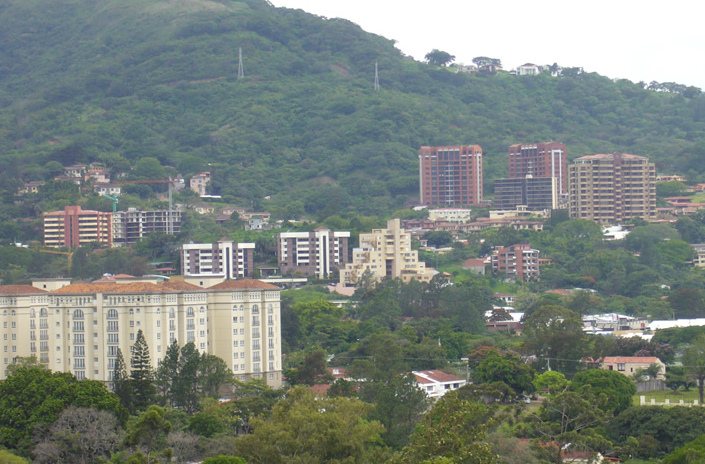 San Pedro – This neighborhood, located east of downtown, is home to the University of Costa Rica and some of the city’s best nightlife. This naturally comes from the many college-oriented restaurants, bars and clubs. From downtown, you can easily catch a bus from the Avenida Central near Calle 9. The buses leave every 10 minutes, so don’t worry about schedules. 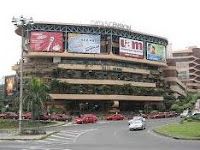 The neighborhood’s main area is the Avenida Central, which includes most of the best restaurants and shopping at the Mall San Pedro (seen to the left). 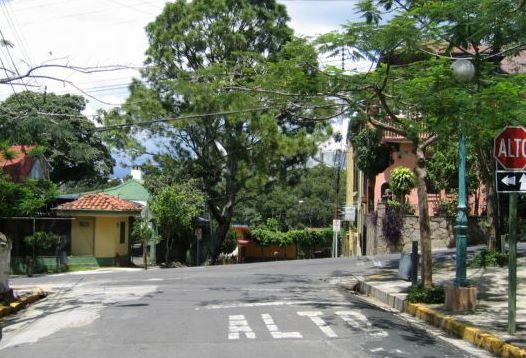 Escazú and Santa Ana – These two nice neighborhoods are located in the hills west of San José. In addition to the views, it includes a relatively large expatriate community and smaller bed-and-breakfast accommodations that are just wonderful. 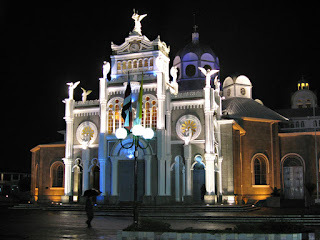 For more information about the city’s main attractions within these neighborhoods, read my post: Visitor Attractions in San José, Costa Rica. 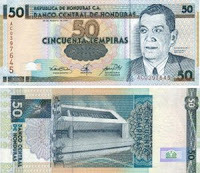 The currency of Honduras is the lempira, which is named after the 16th-century Lenca ruler who was known for leading the native resistance against the Spanish conquistadors. It was introduced in 1931 and it is available in both paper bills as well as four types of copper-nickel coins: 5, 10, 20 and 50 centavos. The colorful paper bills are available in denominations of 1, 2, 5, 10, 20, 50, 100, and 500. 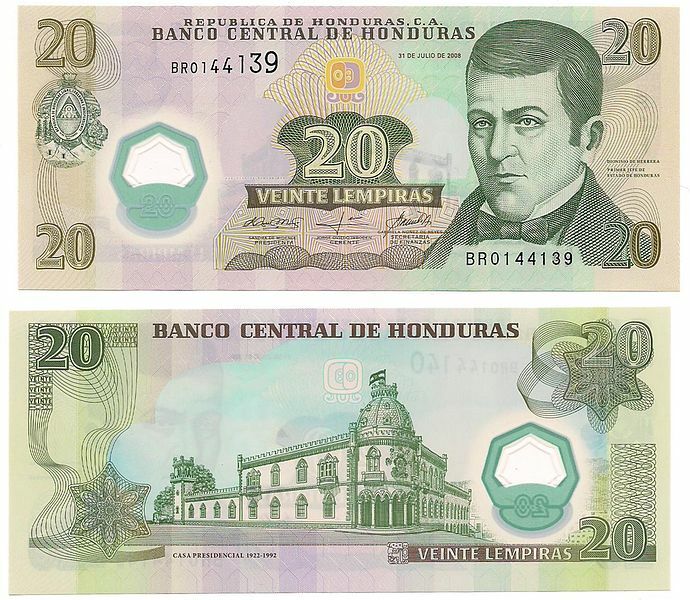 Although the Honduran exchange rates usually hover around 19 lempiras for one U.S. dollar, rounding up to 20 lempiras per one U.S. dollar is the best way to estimate what things will cost and to keep things mathematically simple. This type of quick calculation is especially helpful when haggling in a market or buying items in a local restaurant. 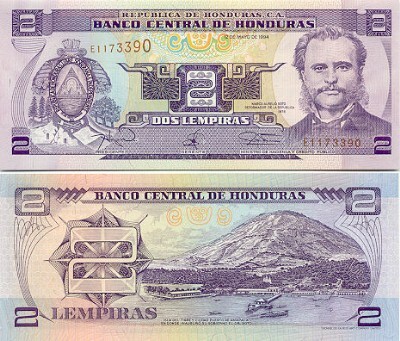 The lempira bills are known by both their colors and whose face is being honored. 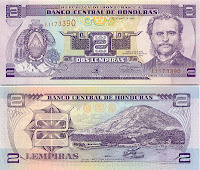 Several examples include the purple 2-lempira bill (seen above) with the face of Marco Aurelio Soto, who was an influential liberal President of Honduras in the late 1800s, and the orange-tinted, 100-lempira bill (seen to the left), which includes José Cecilio del Valle, who was one of the most important figures in Central America during the transition from a Spanish colonial government to independence. 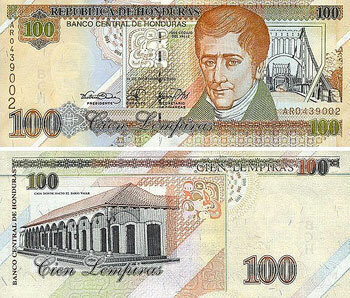 In January 2010, a new polymer 20-lempira bill was introduced into circulation to replace the lighter paper version. 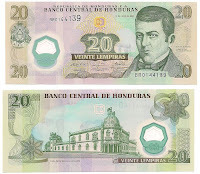 It still includes the face of Dionisio de Herrera, who was a Head of State for both Honduras and Nicaragua in the early 1800s. Each Central American country has their own regulations about this activity, but currency exchange on the street in Honduras is something to be very careful about. Once the moneychangers spot you, they will approach you eagerly in hopes of making money off of your needs. They are conveniently located everywhere from the parque central in the large cities to the airports and bus stations. But after hearing their exchange rate, always use the approximate 20-to-1 ratio to realize how much you might be paying (or losing) for this convenience. I have used them especially before crossing the border just to get rid of the bills that I no longer need. If the rate is too outrageous, then simply keep them for posterity or for you next trip to the country. Fortunately, ATMs are available throughout most of the cities throughout Honduras and operate under the BAC/Credomatic, Banco Atlántida, or Unibanc systems. This should allow anyone with a MasterCard or VISA debit card to make reliable transactions and withdrawals. ATMs are one of the best ways to get cash and the machines usually give you denominations of 50 lempiras, which are sometimes hard to break. I try to use the larger bills for substantial purchases and use the smaller denominations for food, taxis and other necessities. But like anything, convenience comes with a price and your bank knows it by adding a 3-percent fee in addition to the usual bank fee for using an ATM not owned by your bank. The positive side is that you will receive the latest exchange rates. Again, my word of warning about using ATMs is to always use common sense when withdrawing large sums of money. Note your surroundings and be aware after you walk away from the ATM with a large amount of cash because someone could be watching you with bad intentions. Credit cards are generally accepted in larger businesses such as major supermarkets, department stores and hotels, but always keep in mind that many smaller businesses and family-run stores do not accept credit cards at all. Be prepared for a surcharge of up to 15 percent. At the Airport: When arriving at the airport in either Tegucigalpa or San Pedro Sula, you have a choice of carrying your own bags from baggage claim or getting an eager skycap to carry them for you. If you choose to use their assistance, these handlers should receive US$1 per bag with no more than US$2 per bag for large, heavy items. U.S. dollars are always welcome and expected at the airport since many travelers have not had the opportunity to change their currency. At the Hotel: For anyone handling luggage, follow the same rule as you would in the airport: No less than US$1 per bag and always give more for large, heavy pieces of luggage and for anyone looking like they are really "sweating it out" for you. At the Restaurant: Tipping is not expected in the majority of Honduran restaurants except for upscale establishments who expect at least 10 percent. Only on rare occasions is a service charge added and this is generally for finer restaurants when you walk in with a group of 10 people or more. Since tipping is not expected, never leave your tip on the table because it will disappear very quickly and NOT by your friendly waiter! So if your waiter went above and beyond working for your table, make sure to personally hand him/her the tip on your way out. Car Parking: As I have mentioned in several other posts, there is no differentiation about this aspect of parking your car in Central America. There will always be someone willing to "watch your car" as you go into any business or shopping area. Despite their eagerness, I am still unsure if they actually watch your car the entire time, but at least it gives you some peace of mind, especially if you have a rental with a high deductible. Tipping them is definitely expected and the amounts should always be at least 10 lempiras for those who simply stand there near your car or more for ones who actually stop traffic on your way into the parking spot. Others will go as far as actually washing your car! In these instances, the more the better and you know that these guys really appreciate and need the money no matter how small.